Winter is coming to an end, and some people are already planning their summer vacations. Traditionally, people gravitate towards large bodies of water to spend their summer next to. However, other people aren’t satisfied with the stationary nature of these trips. They want to experience new areas and landscapes every day. Those types of people usually go on a road trip. They are great for this purpose, but you miss out on being next to water while you’re on the road. You don’t need to make a compromise between these two. For people like yourself, houseboating might be the solution to this conundrum. Houseboating in Canada specifically allows you to see many beautiful landscapes while also enjoying some summer activities. Here are some of the best places to travel to when it comes to houseboating in Canada. Cowichan Lake – Located on Vancouver Island, this lake is a fresh water body, and one of the largest on the island at that. The lake takes pride in its lush forest landscapes and has an active fauna, including deer and bald eagles. With 150 kilometers of shoreline to explore, you are definitely not going to run out of things to see. Lake Koocanusa – Right on the Canada – US border, this lake provides both sport boat rentals as well as houseboats. It doesn’t matter if you’re the sporty or laid-back type, this place will have what you need. You won’t have to worry about the place getting too crowded either, as there are 20km of shoreline for every houseboat charter. Tobin Lake – You’ll find this lake in the eastern part of Saskatchewan. You should definitely pack your fishing gear for this one. The lake is praised for its world class fishing experience. If fishing isn’t for you, there’s still 65km of waterway to explore. You can also visit it during Spring, Summer, or even Fall as the season runs May through September. Visit Aurora Houseboats of Tobin Lake for more details. Sunset Country – With over 70,000 lakes to explore, this place is sure to provide you with countless possibilities. Some of the more famous lakes include Lake of the Woods, Dog Lake, Lac Seul, Eagle Lake, and Rainy Lake. All of these lakes offer amazing wilderness, sunny blue skies, and relaxation galore. 1000 Islands – This family run business in southeastern Ontario offers many must-see attractions. There’s Boldt Castle, Antique Boat Museum, Arthur Child Heritage Centre, and The Thousand Islands International Bridge. A very interesting activity which you can also encounter while here is houseboat golfing. Visit Houseboat Holidays to learn more. Rideau Canal – This canal was constructed between 1826 and 1832. It offers a myriad of interesting sights to see while traveling through it. Beautiful scenery, islands, lakes, rapids, nature trails. This place is jam-packed with interesting natural sights for you to enjoy. You can also see Colonel By’s historic lock system and blockhouse. Kawarthas – The Kawartha Lakes are part of the Trent-Severn waterway and features numerous historical locks in a stunning location. 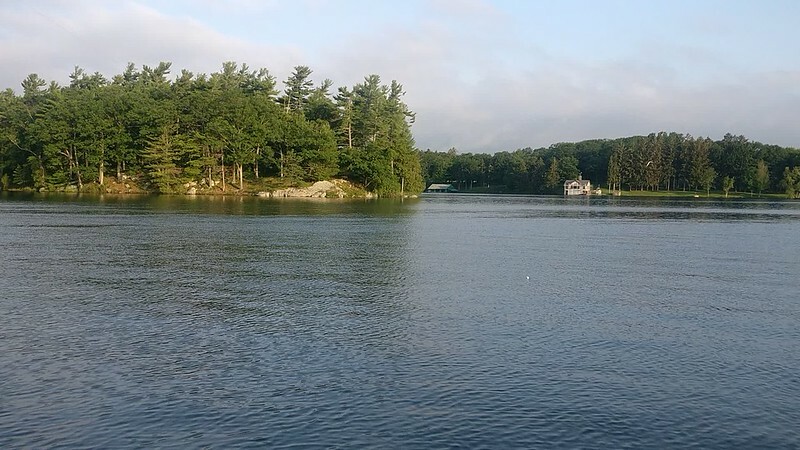 There are 3 rentals in the region including Happy Days Houseboats near Bobcaygeon and is just 2 hours drive from Toronto. Lac Kipawa – If you’re interested to see what the French speaking part of the country can offer, then visit this lake in western Quebec. It’s well known for its gorgeous displays of dancing northern lights, singing loons, and abundant fishing spots full of trout, walleye, and pike. Mactaquac – This place offers the most relaxing houseboating experience in eastern Canada. Travel through St. John River and enjoy its natural wonders while also keeping the natural environment intact and undisturbed. You will have the chance to sunbathe, drink your morning coffee to the songs of river birds, or lie down during late hours stargazing at the night sky.